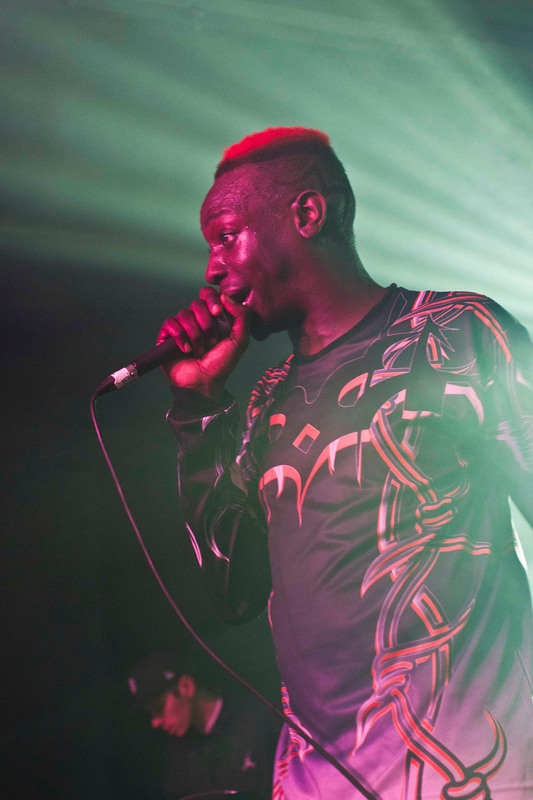 A born performer, Le1f made it look easy, something he acknowledged by ending his encore on 'Fry Dem' delivering the final line with a confident smile to an audience that were completely in his control. 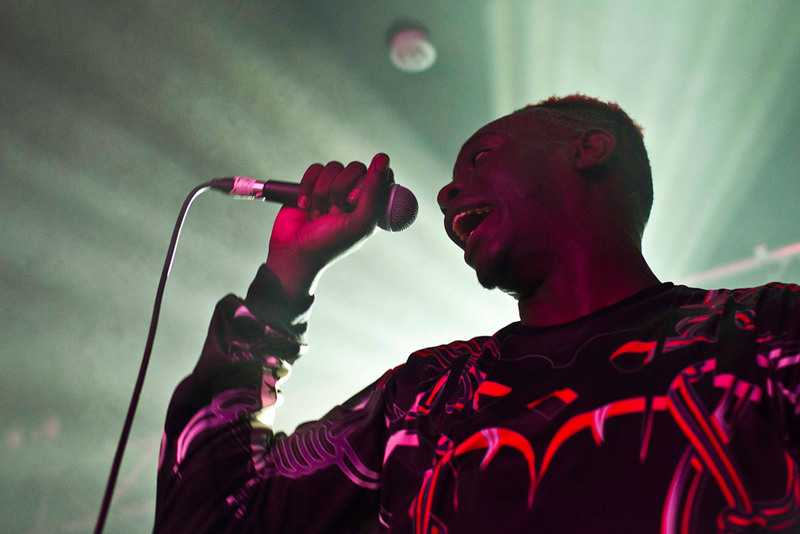 Ahead of his sold out show at Oslo Hackney, Le1f promised his fans a rave. Despite that Letterman performance still being fresh in everyone's minds, and the new Hey EP garnering incredibly positive comments from critics, the thought of an East London crowd raving it up on a Monday night didn't seem possible. Of course, this is Le1f we're talking about. 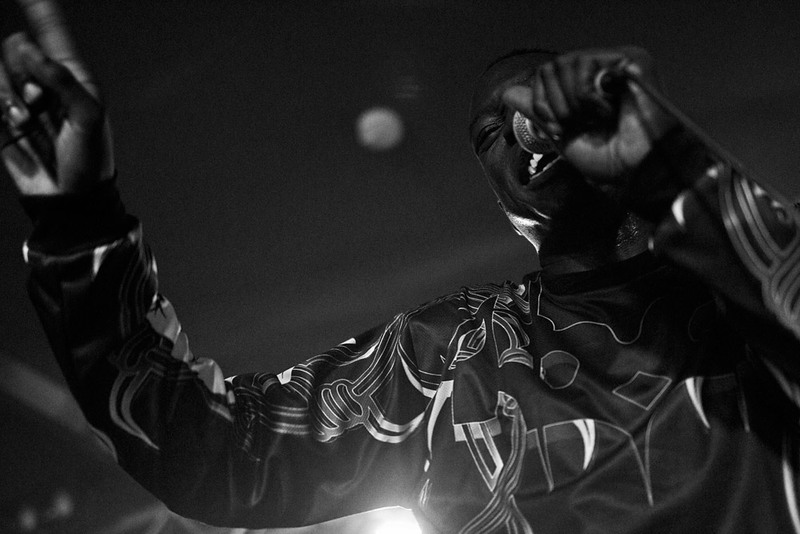 A rapper who defies definition and a performer of such magnetism and charisma that it's impossible not to be swept up in his heady, intoxicating beats and find yourself suddenly losing control of your extremities. 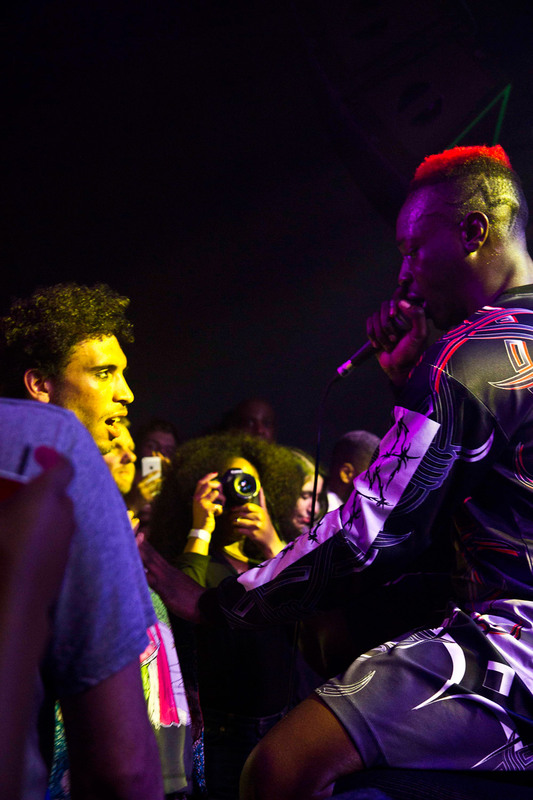 Le1f promised a rave on a Monday night, and you can bet he delivered on that promise. The evening was started off by support act BAY. The Croydon three-piece's moody, yet soulful electronica (think Metronomy mixed with Stubborn Heart) seemed like an odd choice to support Le1f. However, they really worked as a warm-up for the impending party atmosphere. 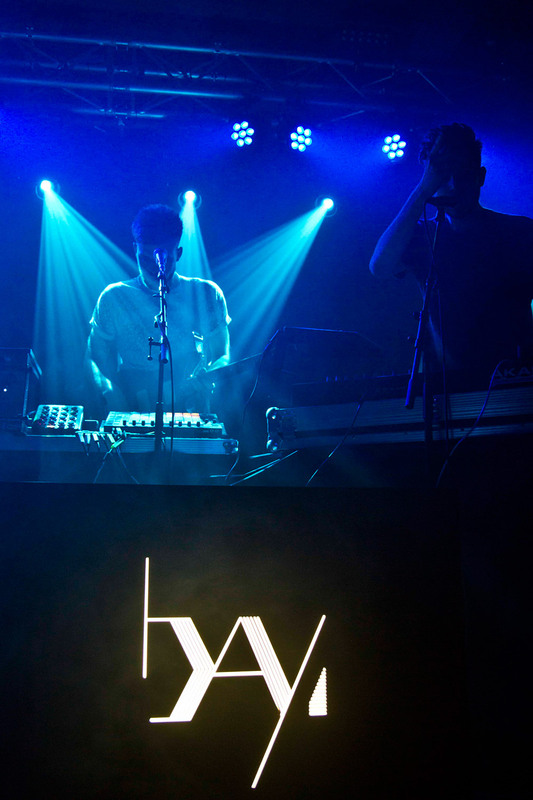 The sparse beats and funk bass of new single 'WYF' laid down a groove so smooth and infectious that it compelled large parts of the crowd into dancing along. 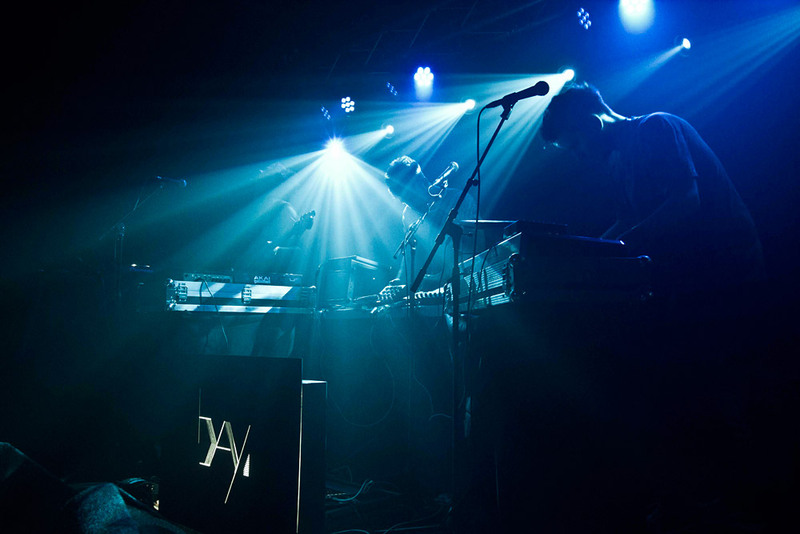 The trio, sharing in vocal duties and switching between sequencers, synths, bass and electric guitar, stood in a round as they played lit only in cold blue light, adding an extra layer of melancholia to their music. 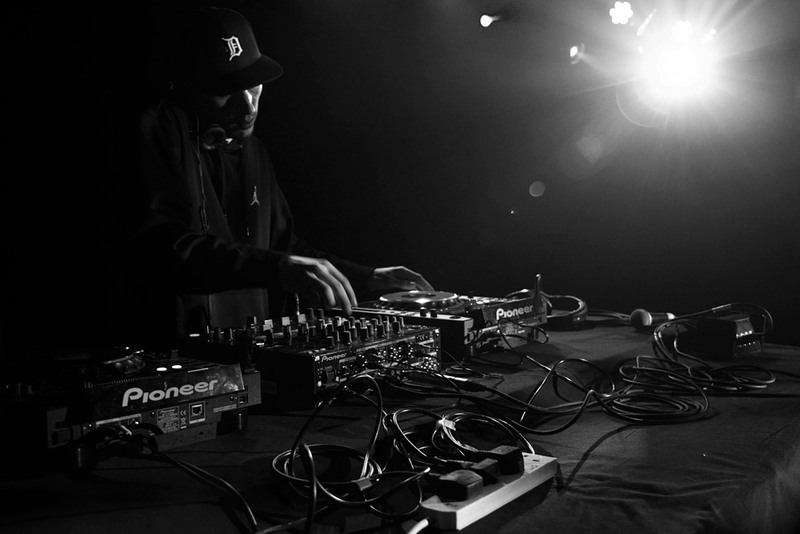 The atmosphere was turned up significantly with the arrival of DJ Mess Kid on stage. 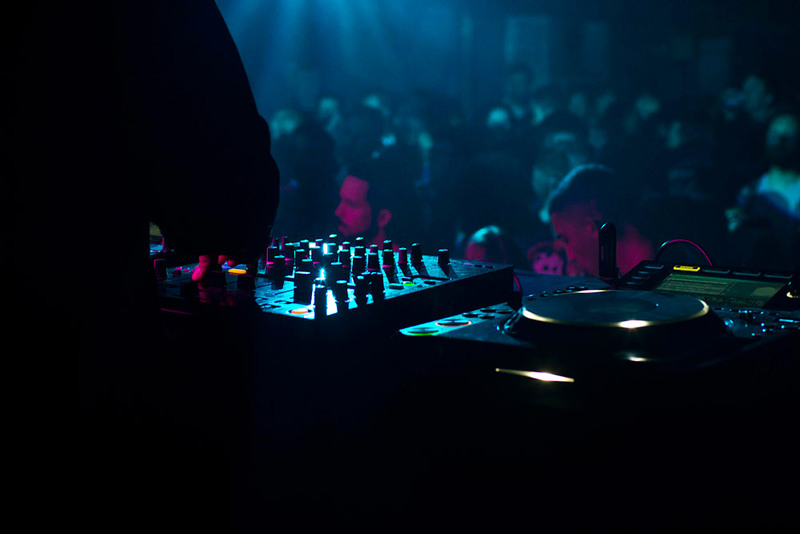 Laying down an hour long mix of dance bangers and gangster rap - with a little Beyoncé and Beiber thrown in for good measure - his set was a pitch-perfect DJ warm-up, and bought a taste of the NYC club scene to this small venue in London. 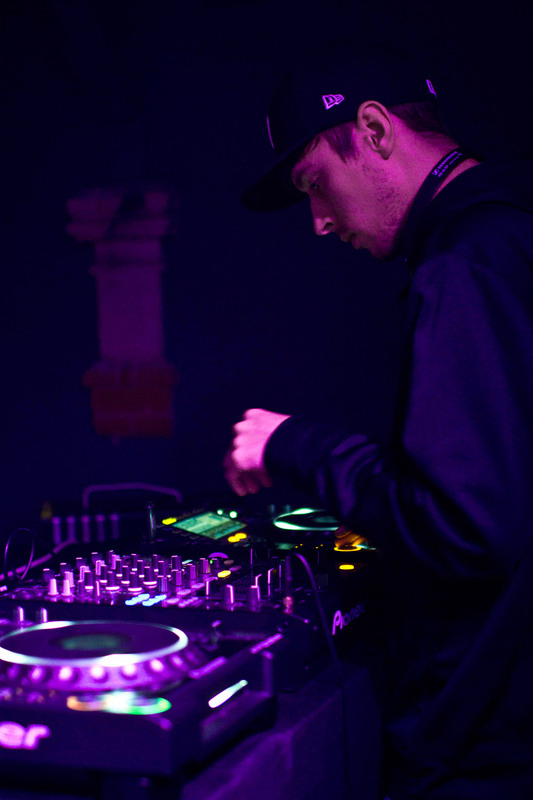 No doubt this is partly down to the fact that Mess Kid DJs for Le1f during his performances, but it was great to see a support DJ who managed to really get the crowd engaged and warmed up for the final act. Despite being a sell out, people made space in the crowd turning it into a dance floor, and for once I spotted several people turning away from the DJ to dance with their friends. 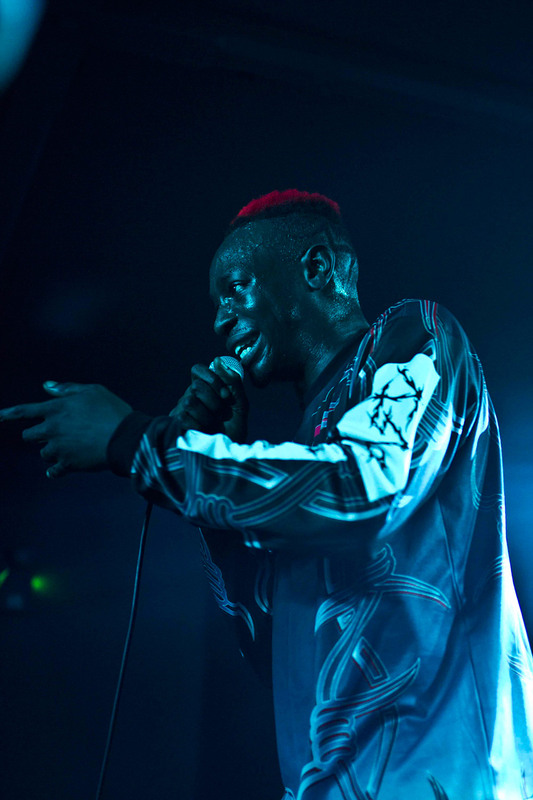 Le1f stepped onto stage dressed in a loose fitting red hoodie and tartan stripes, with a shock of red dye in his hair. A brief greeting and he went straight into the shimmering piano of 'Plush', pulling seductively on the toggles of his hoodie and looking around the crowd as he crooned the opening verse. That single verse was all we would hear of 'Plush' - it would also be the most down-tempo moment of his set - as it seemed to just be Le1f's way of checking the levels were correct. "How does it sound?" he asked the crowd, who roared in approval. 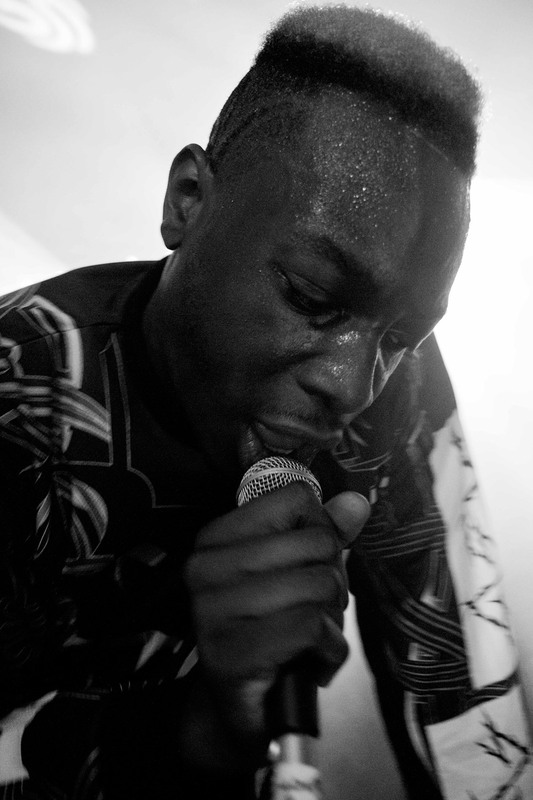 There was a wry smile from Le1f before the set proper started with Dark York's 'Mind Body'. Over the course of his hour long set, Le1f blasted through some of the best moments from what is already an impressive back-catalogue, pulling out tracks from all three mix tapes and the recent EP. Meanwhile he kept conversation to a minimum, but interacted with the audience through performance alone. The first high point came during a blistering rendition of 'Hush Bb' which ditched the original backing for a more house focused beat; without losing any of its sensuality. 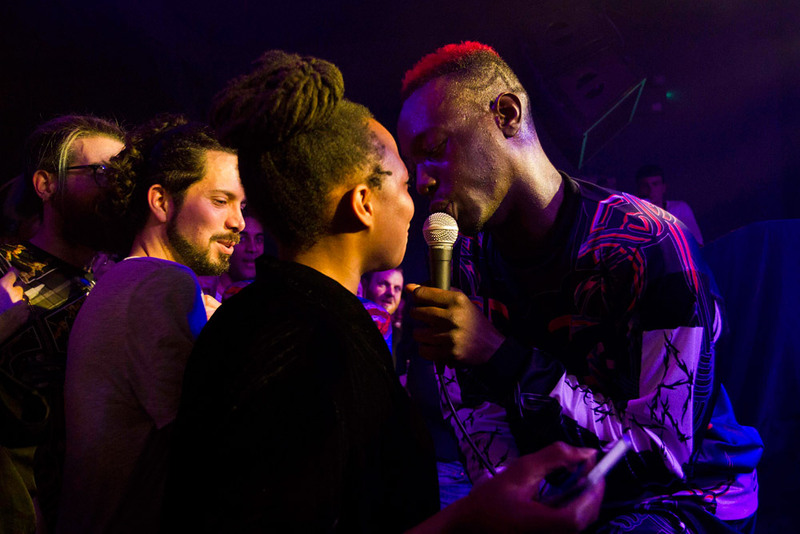 Le1f crawled along the front of the stage, stroking the faces of a crowd lulled into rapturous adoration - even kissing one or two audience members. 'Soda' meanwhile saw Le1f throw the microphone to one side as he launched into a complex dance routine that included some fantastic vogueing. 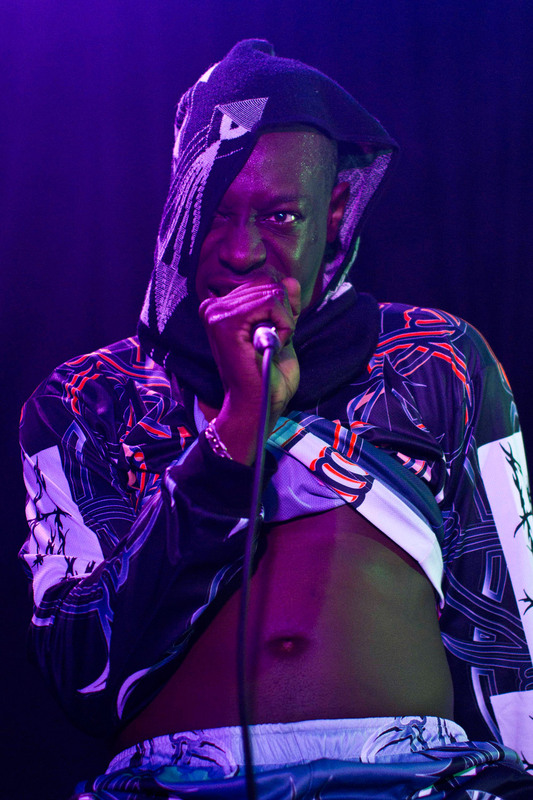 Those who've heard Le1f's material before will know just how versatile his voice is, but live it really comes into its own. For 'Hush Bb' it was a croon, whilst the next moment he was snarling his way through 'Coins', or launching into a quick fire combo of lyricism, wit and attitude on 'Wut'. All the while the mix of beats had the crowd worked up into a frenzy of dancing. It's testament to Le1f's ability as a performer that he commanded one of the most enthusiastic and expressive crowds I've seen. Some songs become group sing alongs - 'Damn Son' and 'Wut' in particular - and not even Le1f could hide a smile at an entire room singing "How many batty boys can you fit in a jeep?" during 'Boom'. The dancing was a mix of the usual rap hands in the air, a lot of grinding and a few guys making some room to twerk in. Highlights included the aforementioned 'Soda' and a mash-up of 'Hey' with the chorus of 'Yup' and a sampled backing track I recognised, but couldn't name (I was too busy dancing to attempt to Shazam it). However, for me the moment that really stuck in my mind was 'Spa Day', easily one of Le1f's best tracks, and live the song which took the room's energy to a whole other level. This was all despite the fact that by this point (about half way through the show) the venue had reached the temperature of a sauna. It was only outdone by an explosive performance of 'Wut' to close the main set, which managed to completely outdo the Letterman performance, despite having just a DJ and no backing dancers. Le1f introduced the track by leaning out over the crowd and leading a call and response based around the phrase, "say what?" 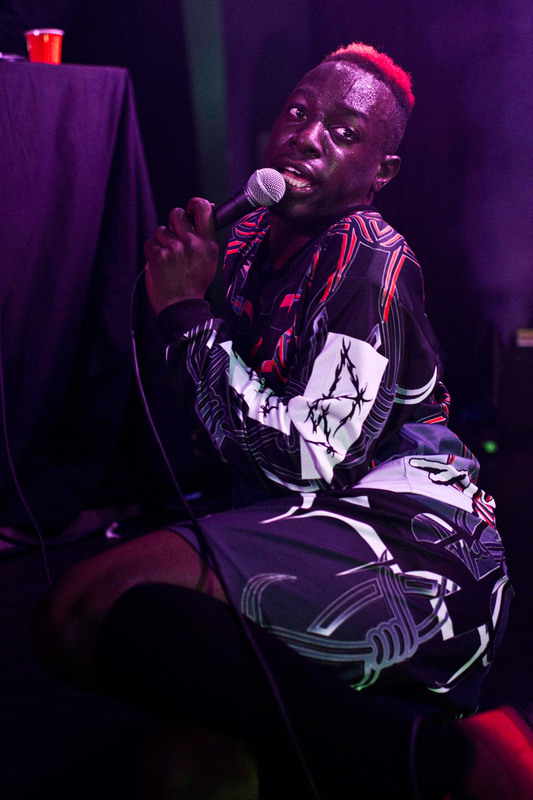 Even Le1f seemed amazed by the amount of energy in the room, taking a moment during the set to lean against a suspended speaker and tell the audience about how he's seen quieter, less active crowds on a Friday night. Speaking to people after the show it was clear that a lot of people felt that there was a completely different vibe compared to shows they'd been to. Maybe it's just down to Le1f's music, maybe it's due to the diverse crowd that he draws in - dance fans, hipsters, the LGBT community, rap fans and all the crossovers that occur within those distinctions - but I left the show feeling that I'd truly witnessed the transformative, liberating power of music. 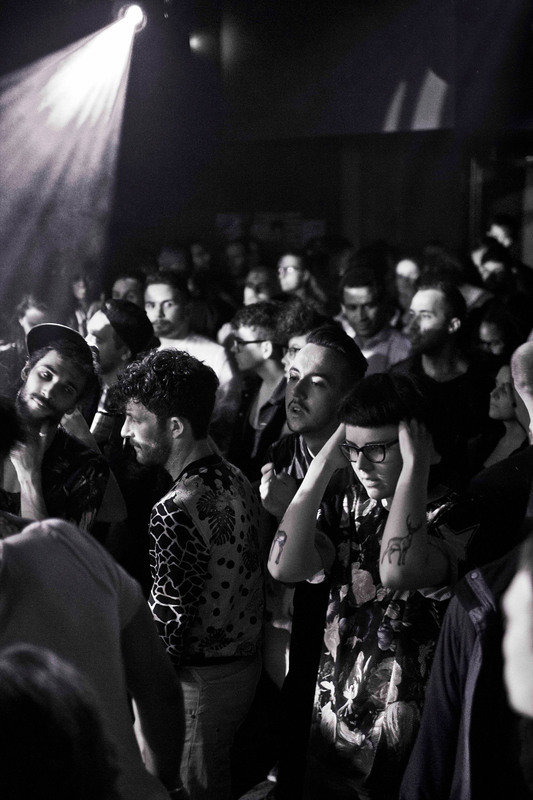 In that room you could be whoever you wanted to be with no judgement, just a mutual love for the party, the crowd, the experience of being alive and part of a group that had no single defining characteristic. I've always understood the power that music can have, but never before have I felt it so intensely. 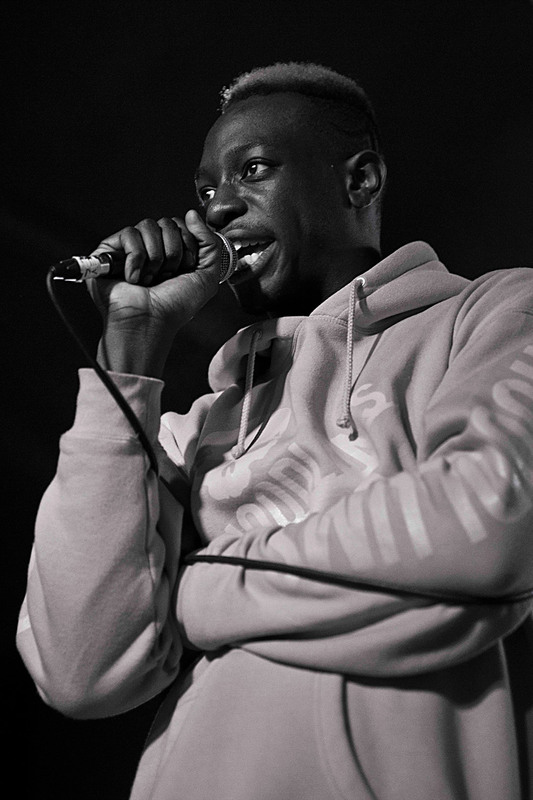 A born performer, Le1f made it look easy, something he acknowledged by ending his encore on 'Fry Dem' delivering the final line with a confident smile to an audience that were completely in his control. "Yup, I'm such a good looking man / I'm like 'look ma, no hands'"